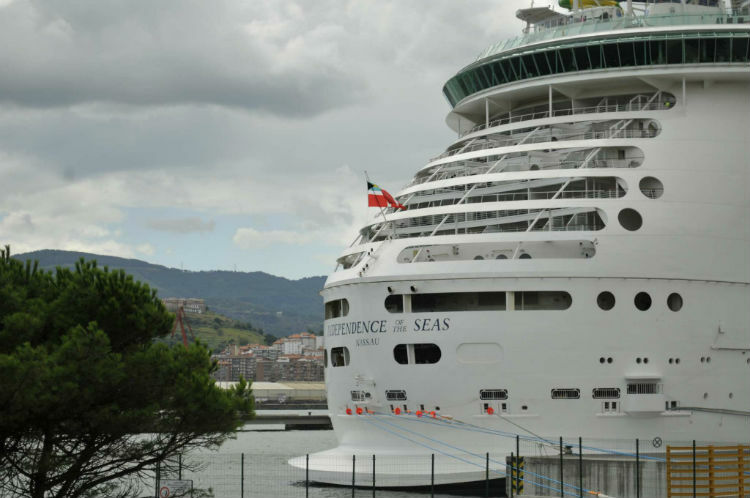 Royal Caribbean’s Independence of the Seas has been warmly welcomed back to sea after a recent refurbishment back earlier this year. I got a good deal on this cruise and another one earlier in the year on Navigator, so I booked them both at the same time. I kept an eye out for a sale on the drinks packages and also purchased this later. I don’t mind sharing that the cruise was around £700 each for the six days in an outside cabin, the drinks were around £32 per day each. 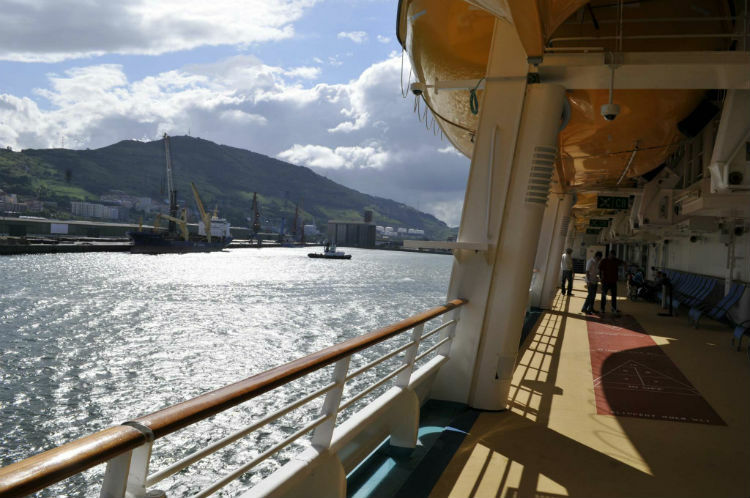 We cruised from Southampton and visited Le Havre, Gijon and Bilbao from Getxo. We were very lucky with the weather, especially in Gijon where we spent the day on the beach… fantastic place. We didn’t use any ship excursions as we did all ports ourselves using shuttle buses and good old-fashioned walking. Between March and April 2018 Independence was refurbished during a five-week dry-dock. Added features include an escape room, trampoline park, water slides and laser tag. 107 extra cabins were also added along with new furniture and carpets throughout. To accommodate these extra cabins the nightclub was removed. There has also been a little reshuffle inside such as: there is no longer a smoking lounge as this has been replaced by a good-sized library and internet area; what was once the wedding chapel has been replaced by an escape room; the ice rink and Studio B venue has also been converted further with the addition of the laser tag venue. 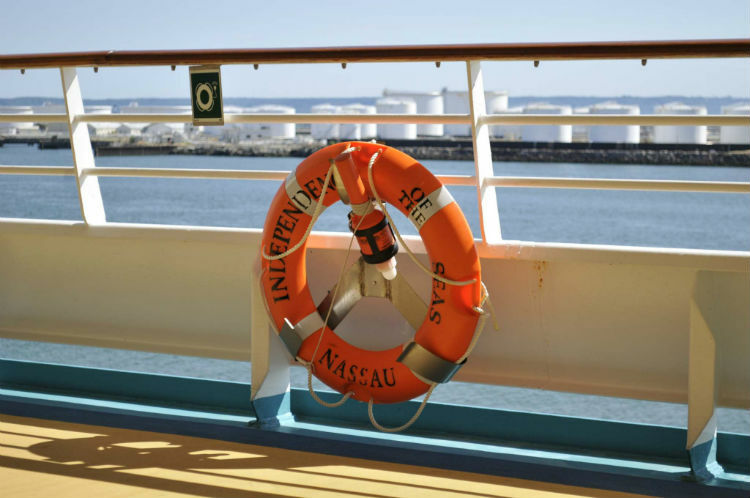 What’s on-board Independence of the Seas? 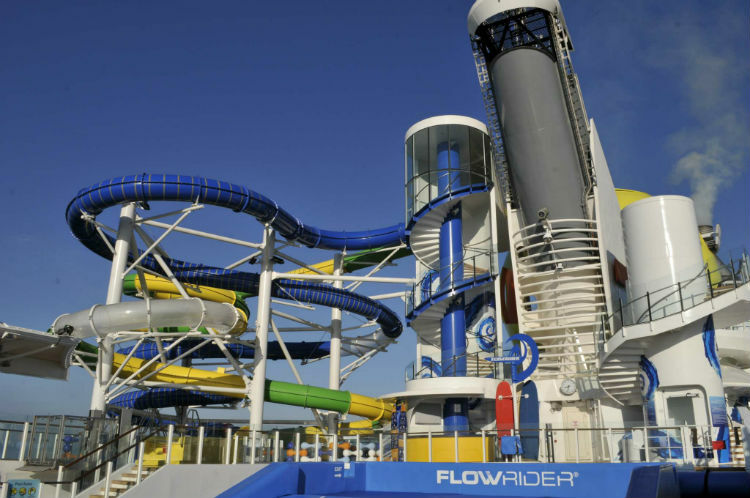 Starting at the top of the ship, the area behind the smoke stack at the stern has a basketball court, climbing wall, surfing simulator and water slides. This area now includes a gigantic metal sphere with a virtual reality trampoline park inside. Apparently if you don’t feel seasick enough you can now bound through a lunar landscape on a trampoline wearing a VR headset! 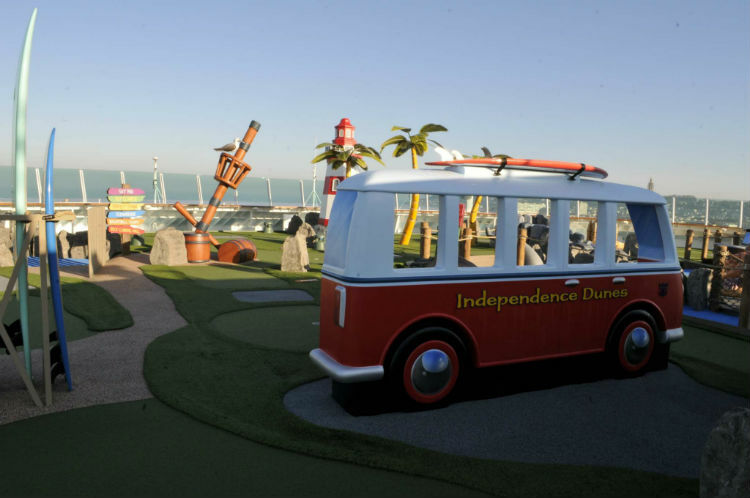 There is also an adventure playground and a sun deck area with hammocks. We’re big kids and would have tried all of this ourselves, however it always seemed to be mobbed with long lines for everything. We did get down the water slides though, which was great fun! Immediately off this area includes a kids’ and teens’ zone, video arcade and the Viking Lounge – an observation lounge high up the ship with private areas for Gold Crown and Anchor members. 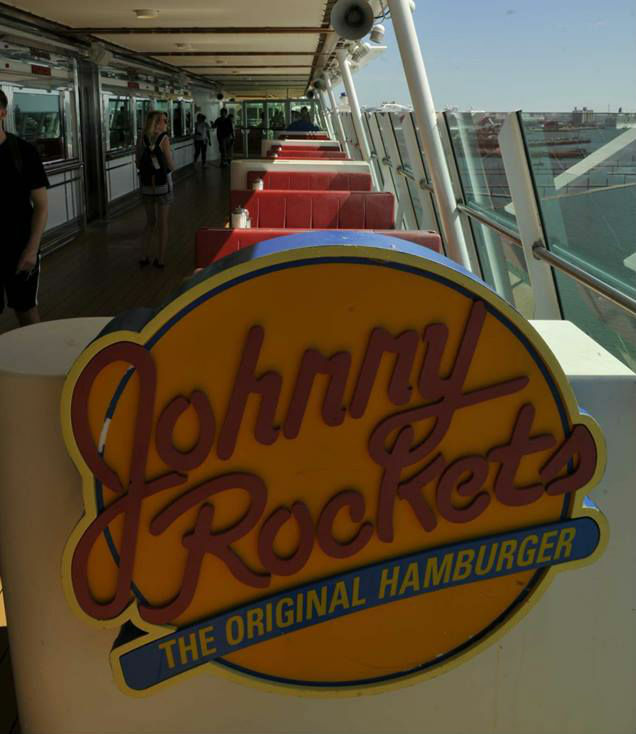 Further forward is the Johnny Rocket’s American diner, which we didn’t use on this ship, however we have used it on Navigator and it’s worth a visit. Below here, on the Lido level, sits the Windjammer Café and two speciality restaurants: Chops Grille steakhouse and Giovanni’s Italian. We didn’t do any speciality dining on this cruise as we felt the food isn’t all that better than what’s on offer anyway. The main Lido area is geared towards families and is over two levels. The bottom level comprises a ‘splash zone’ area for young kids with slides, water features and a very shallow pool. Also here is a normal pool, two huge hot tubs, three bars and Fish & Ships – a poolside chippy! Beyond here was our favourite area – a nice adults-only solarium with real teak decking, a dip pool, bar and two huge hot tubs in bay window type structures protruding the side of the ship. This area also included upholstered sun-loungers, lounge areas and cabana type day-beds. There is also a very well-equipped gym near here with steam room and sauna in the changing room. I love a thermal area and the facilities were huge and modern. Above the gym is a huge spa area with the usual stuff, though we never used it. 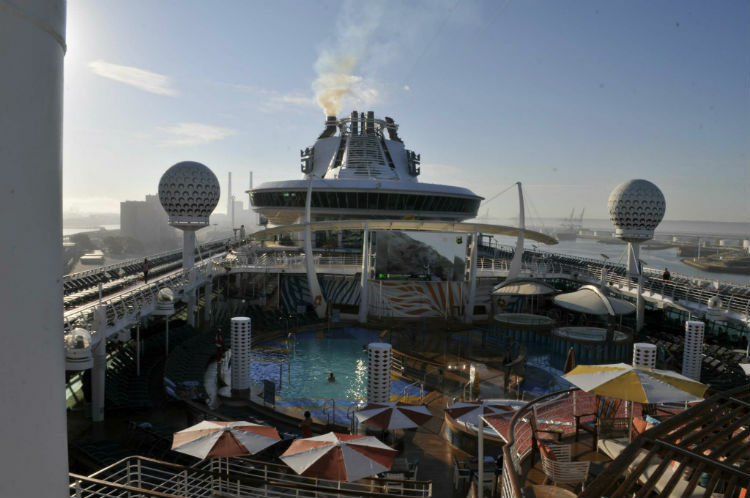 Staying on the top of the ship at the front there is a large sunbathing area with wind-breaks and a mini-golf course. Down below is where all of the action happens! Deck four was our favourite area of the ship; quiet with comfortable seating and smoking down the port side. Very few people were down here on any day which was a surprise as the weather was glorious during our week. 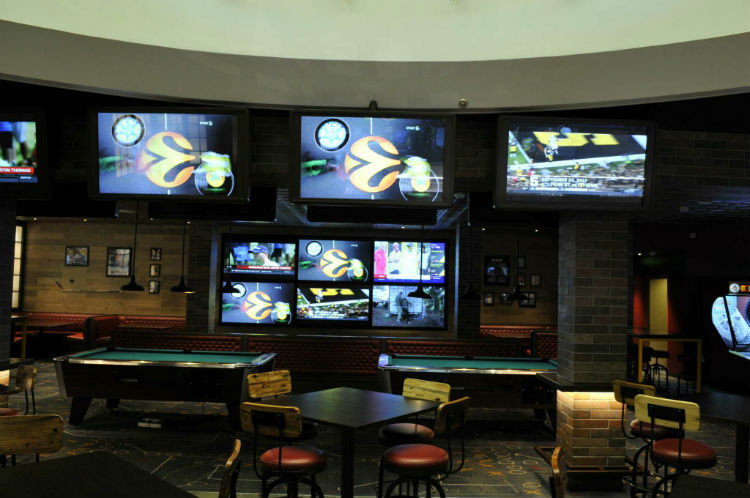 Moving inside, there is the new Playmakers Sports Bar & Arcade, which includes pool tables and an arcade. Here you can enjoy wings and fries etc. for a small cover charge. 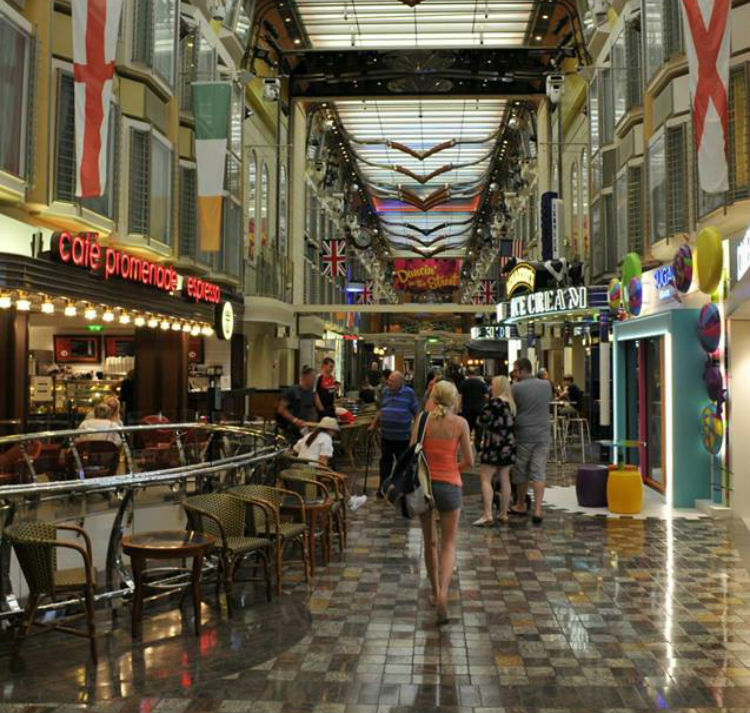 There is also a casino, Schooners Bar and Boleros, a lounge bar with live music. Great location – Outside cabin down a dead-end and only accessible from the aft stairwell. One deck above the promenade so straight down one flight and into the fresh air! It was also right next to the main dining room which was very handy for making dinner reservations and grabbing breakfast. The cabins have not been upgraded so it was light wood, which dates it a little bit. The size was very generous, with a large porthole above the bed and sofa and coffee table at the bottom. Plenty of cupboards to swallow up all of your gear. The wardrobe was a good size with extra rails if needed. Plenty of room for two weeks here. The usual suspects of a digital safe, flat screen television, fridge and hairdryer all featured. The bathroom was clearly where space had been saved and was bijou to say the least. However, the shower has a round glass enclosure and ample space for what we needed, with the usual shampoo dispenser and clothes line. Soap was provided but we brought our own. No complaints about the cabin, would recommend it. Embarkation at Southampton was slick and organised with no dramas, your cases are whisked away immediately and time spent at the desk was reduced as the online check-in includes a feature that lets you take your own picture. We kept moving the whole time, right up to the top deck onto a sunbed with a beverage! Muster is brief (10-15mins) so in no time you are in the system with a cabin, your luggage and the aforementioned beverage. Of all of the crew we interacted with we were given fantastic service despite how busy things were and the guys on Guest Services are very clued up and inspire confidence. I’ve got good reports about the food: it was great in the main dining room and the buffet. In fact the buffet restaurant was so nice, both food and surroundings, that we dined here instead of the main dining room on a few occasions. Starting in the buffet, Windjammer, the food was pleasingly varied during lunch and dinner and, despite the crowds, we always found a seat. There were salad stations, carvery, Mexican, Indian, burgers, hot dogs, Italian, sandwich deli and much too much to mention. It was all really tasty, drinks were plentiful and alcoholic drinks were available at many stations. No complaints! We used anytime dining in the main dining room and this worked well for us as our cabin was next to the reservation desk. We generally booked a time when we walked back on the ship from port and had no issues as they keep this time open for 15 mins and you get straight in. With anytime dining you can also turn up and join a queue for a seat, if you prefer. Dining in the main dining room was a delight. Our waiter and wine waiter were very good, our table was near a window and the food was superb. My wife is quite a picky eater and each evening there was always a choice on the menu that suited her, without repetition. The food was of good quality, especially the fish, and the pace was just right, you felt neither hurried or too slow. Portions were also just the right size, except the salmon en croute which was the size of a lifeboat! Again, no complaints. There is a snack bar in the Promenade that we tried a couple of times. Nothing to write home about though this is one of the two places you could get proper coffee though which was nice. For breakfast, I fully recommend the buffet in the main dining room. Nice tables and waiter service for drinks, best of both worlds – used it every day! Food was really hot and fresh, including nice fried eggs. The only speciality dining we used was Fish & Ships in the pool area on deck 11. I had battered sausage and chips with a fried Mars bar, which was delicious, however the sausage was a smoked frankfurter and was just wrong! This was $7 each. As I said before, my experience of Royal Caribbean speciality dining is a pleasant but not outstanding one so I wouldn’t plump the extra money. In summary, that word again – consistent! Solid scores on these ships for food. I’ll start with the Cruise Director – really liked him. He was funny and self-depreciating, a great presenter and a warm host – full marks. We took part in the ‘Majority Rules’ gameshow which is great fun, we also attempted a few quizzes however they were fiendishly hard and there was only two of us! We always do bingo however there were no seats 45 mins before the start so saved our money here. 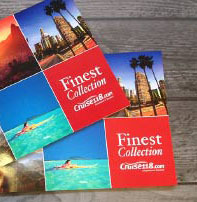 We also attended a talk about the history of the cruise line, very interesting. And guess what? They’ve been building the biggest ships and piling the passengers high since day one! I’m afraid we are not that keen on shows… however the variety show at the end of the cruise was really good with a fantastic comedian. To be fair, the three shows we missed were all very good. The ice show is a must, but we did it this year on Navigator. From what other guests said Grease is superb and Darren Day brought the house down with his act! My favourite type of entertainment is a live band. I love music but I’m afraid the main band on board just didn’t deliver. I felt really sold short in this area, especially as we were spoiled on Navigator with an excellent band. The best live music I heard on the ship was the karaoke singers, who, without exception, were really good – a lovely surprise one evening! I’m afraid I didn’t take part in any of the Promenade parties or parades through the inside of the ship – I was outdoors enjoying the weather. In summary, a shot and a miss for me however the majority seemed to be enjoying it. These included an English pub called the Ale & Anchor – dark and uncomfortable, we didn’t use it much. We used Vintages wine bar a bit during the day. It had chesterfields and did a nice glass of wine. 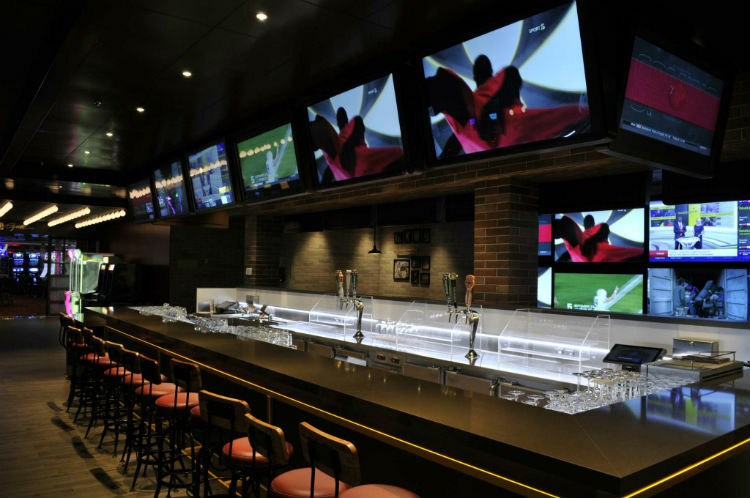 The new Playmaker’s Sports Bar offers arcade-style games, big screen sports and pool tables, loads of booths and seats, never seemed packed. Sky Lounge is a crows nest style bar with great views during the day and discos of an evening. We had an excellent couple of nights up here. Look out for Rock Night, it was superb and we met some fantastic people. It is over 18’s up here and heavy on ID to keep the youngsters out. Boleros is a laid-back bar/lounge with live music. A nice area to cool off during the day and there is natural light, lovely part of the ship. Schooners is a popular fixture of Royal Caribbean ships, with quizzes during the day and piano and singing of an evening. A highlight is waitress Cheryl from Jamaica, a perma-happy joy – she was lovely. The Star lounge is the largest bar/lounge, with a stage and live band, while Champagne Bar is sophisticated and quiet with comfy seats, quite an old crowd. There are also four bars up on deck and roaming ice boxes full of booze for sail away. Casino Bar – you can buy cigarettes here ($6), the only place on the ship. In truth, although we enjoy a drink we did most of it out on deck as the weather was lovely. We didn’t spend lots of time in bars, just for drinks to take outside. We purchased the drinks package and found it very good value as a glass of wine was $14, so you’re breaking even after three drinks – no brainer! 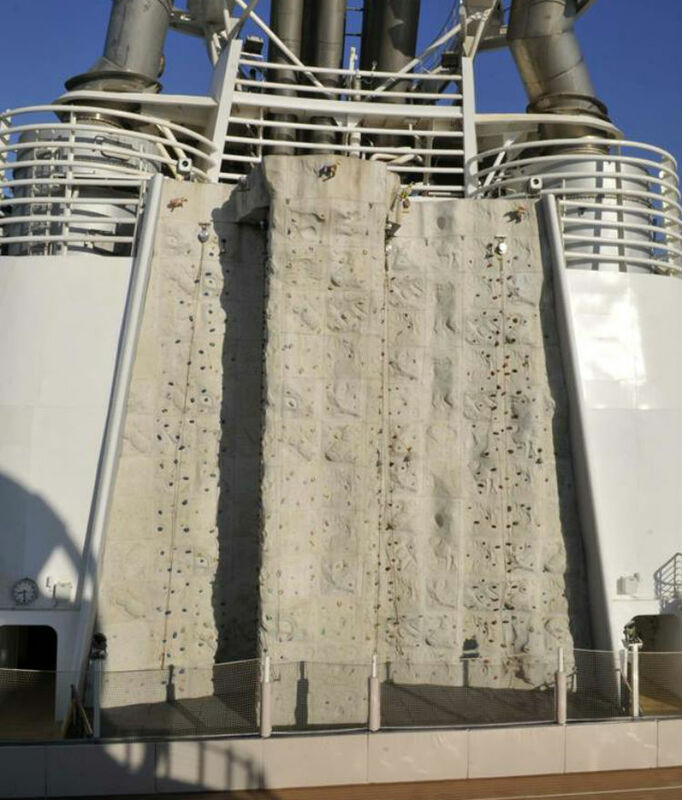 Royal Caribbean is a well-worn path for many and I’m sure most have their own opinions. We are tied to school holidays, so I can only say what I saw. Friends have been on Independence of the Seas out of season and absolutely love the thing! It is not a genteel environment, it is full on. This ship was full when we cruised and had 2,000 kids on board, not for the faint-hearted. 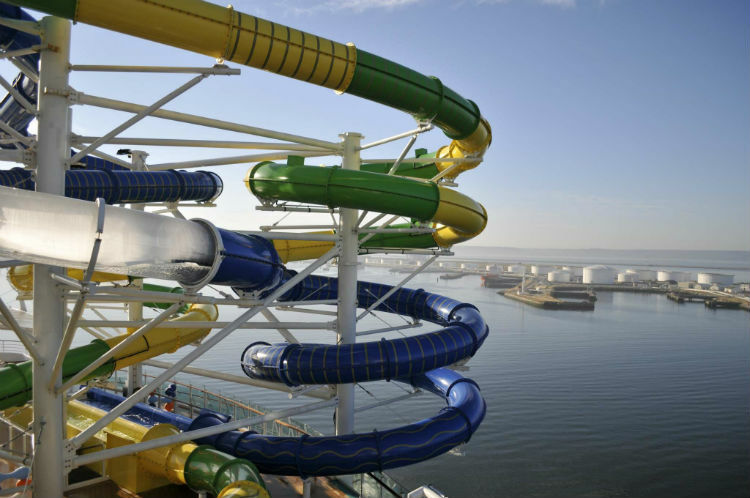 I can’t moan too much though as we booked this for the middle of the summer holidays and know what Royal Caribbean ships are like… just be warned. I will use them again, it is a good product overall, as I said before though, I will be pickier with ships and ports. If you’re keen to experience a sailing on-board Royal Caribbean’s Independence of the Seas, browse our latest sailings on our website at Cruise118.com! Booking early vs. last minute? What is included in all inclusive? Hi Angela, with Royal Caribbean you room, full-board food and use of the fitness facilities are all included as standard, alongside the entertainment and service. There are a few drinks packages you can choose from to add to your cruise fare which offer selected cocktails, spirits, wines, beer and more. Additional charges also apply to dining in speciality restaurants, shore excursions, use of the Wi-Fi, spa treatments and gratuities. If you have any more questions, please call our Cruise Concierge team on 0808 1234 118 for further guidance. Thanks, Emma.